Brian Myers loves his Genuine Buddy 50 scooter! My Story: I love my scooter... it's the coolest thing! 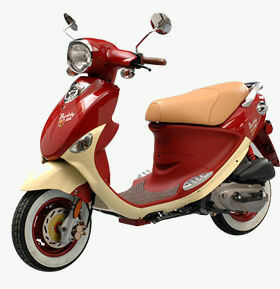 I used to ride motorcycles, but I wrecked one, so I'm sticking with my fuel-efficient and eco-friendly scooter. I might be a little slower, but I burn less gas and less pollution for our already dirty world.